Consistency in your print pieces helps you get your message out. 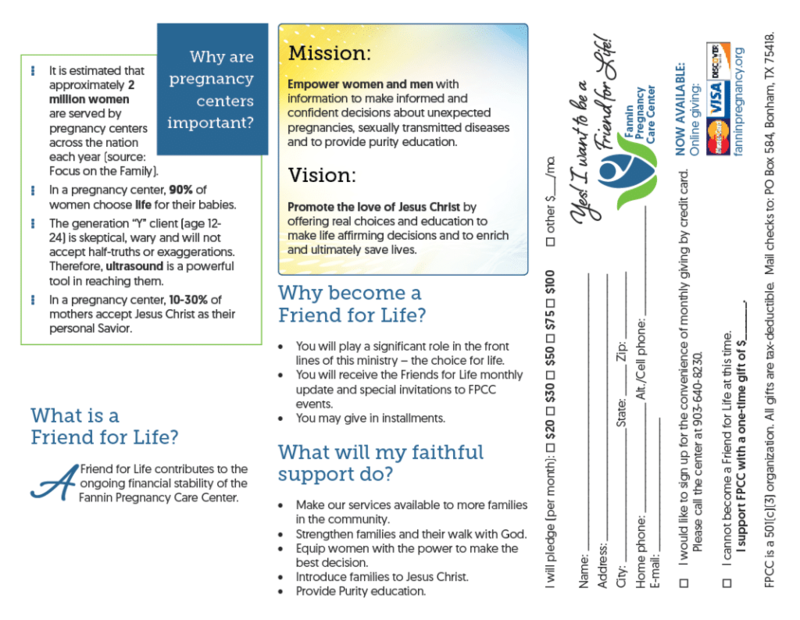 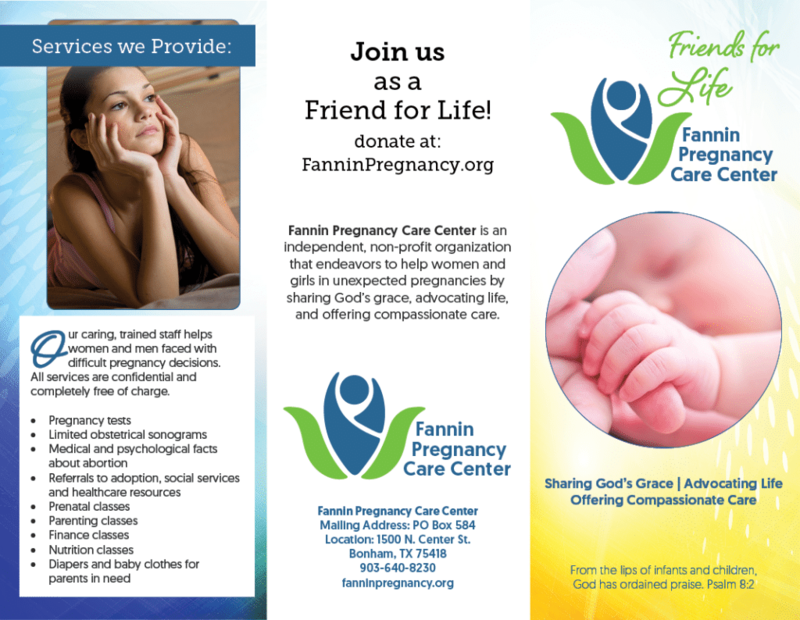 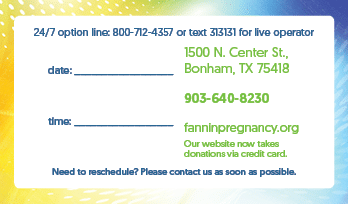 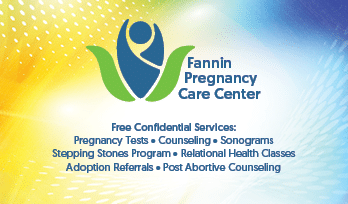 It was my pleasure to design a suite of print materials for Fannin Pregnancy Care Center. 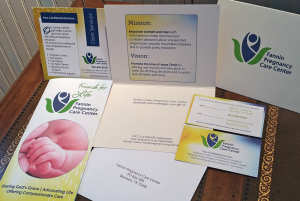 We addressed both the client and potential donor audiences with appointment cards that also function as business cards, 4×4 cards for clients, thank you cards for donors, return donation envelopes for donors, and a tri-fold brochure for potential donors. 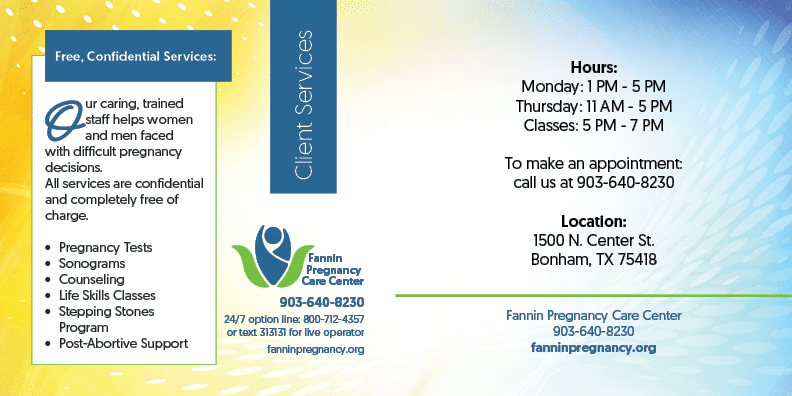 The client had a logo concept that we made some changes to for consistency and readability.